've owned this coupe for the past 5 years, and as much as it hurts to say, it is now time for me to part ways with it. I am the 3rd owner. The previous owner is an enthusiast and has quite a few BMWs, and before that, the car was a corporate lease. This car has a clean title with 87,440 miles on it. I have records up to 2012 which was really the last time I drove the car aside from a couple of track days. I have receipts for most of the aftermarket parts on the car. The car has always been garaged when it wasn't being driven. It had a small fender bender under previous ownership on the rear right fender, but the repair on it was excellent. The paint matches perfectly and there are no waves or orange peel in the finish. This car is in excellent condition both mechanically and cosmetically. There is a ding on the driver door and rear right fender from parking incidents caused by other drivers. There are a few drilled holes in the bumper from mounting splitters and canards, and the hatch has been drilled for the rear wing. The paint could use some detailing, and the front end has some small chips from track use, but otherwise it is in good shape. Because it was a track car, I have taken meticulous care of the mechanical aspects of the car. All of the original parts that I still have (which is most of them) will be included with the sale. This includes headers, catbacks, interior parts, cooling parts, and quite a few miscellaneous parts. You could restore this car back to factory spec with less than $1500. You will also need to install a passenger seat if that's something you want. This sale is intended for track day enthusiasts or somebody who wants a fun weekend car. It is driveable on the street with a just a few mods (namely: quieter exhaust and seats without side head protection). 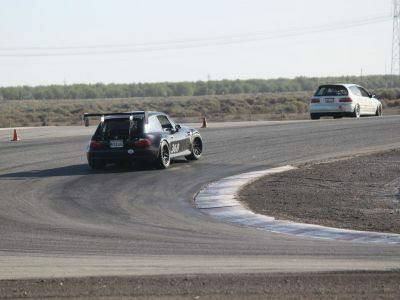 I posted a 1:58.2 in this car at Buttonwillow 13CW with a passenger in its current trim. With a better driver and no passenger, there is no doubt in my mind that this car can do a 1:56 or better. I have always erred on the side of safety and reliability on this car (and it shows in my lap times compared to the fast guys). It has been as non-abused as you can get with a dedicated track car. Sale will NOT include the wheels pictured. I will include stock wheels with R888s on them. I am asking $26,500 OBO. This is just slightly above market value for an S54 coupe of this mileage, plus you get all the goodies listed above and the knowledge that this car was taken care of by an enthusiast who is competent in the garage.